With just a few mouse clicks the Windows Web Application Gallery lets you select, download and install popular web applications like blogs, content management systems, wikis or media galleries. This dramatically simplified installation process comes with a few gotchas that are called out in the following article. The following paragraphs describe problems you might run into when using the Web Platform Installer. 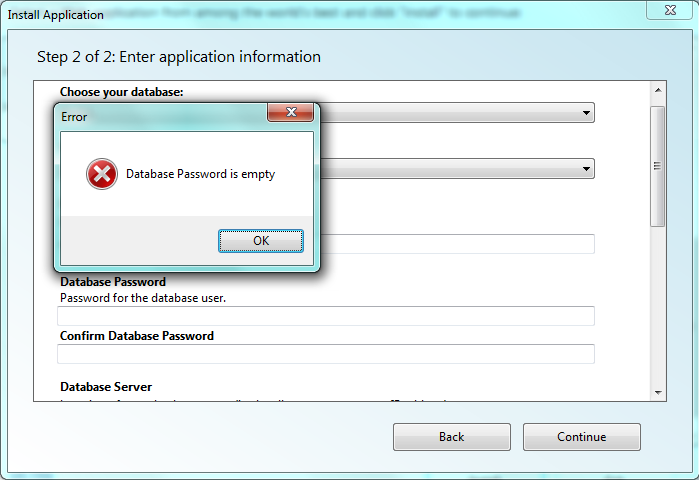 Web Platform Installer 2.0 doesn't allow empty passwords even if you don't want to use a password for your database or application. The following message is shown. The easiest way to work around this issue is to use a password for your database. 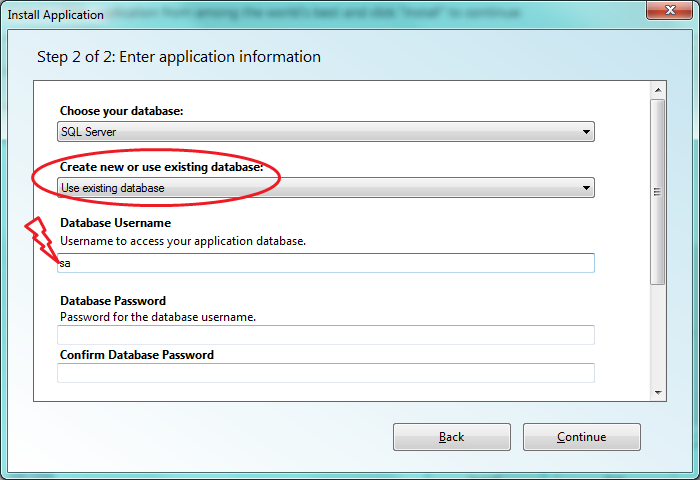 SA account doesn't work when "Existing Database" is selected. 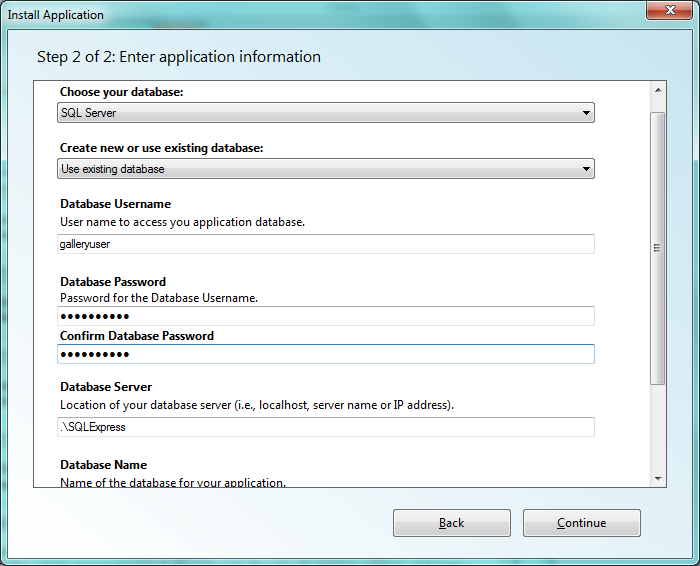 The SA account cannot be used when you choose "Existing Database" in a Web Platform Installer installation that has a SQL Server dependeny. The script that is run will try to add sa to the database and because the SA account already exists the script will fail. SA is a special account and the script will fail. The following paragraphs describe known issues with web applications in the Windows Web Application Gallery. Umbraco can't be hosted in an application directory. It has to be hosted in the root of a web site. When Web Platform Installer shows the following dialog during the Umbraco installatioin the 'Umbraco' application name has to stay empty or Umbraco will not work correctly. 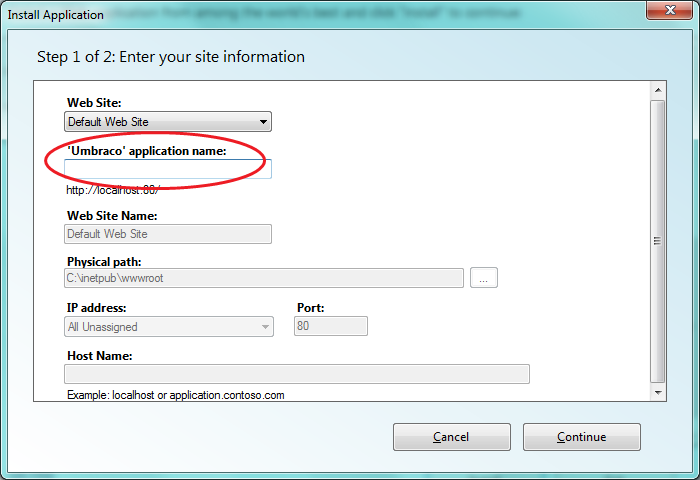 If you install SubText The SubText admin menu is not shown in Internet Explorer 6.0 (see below). This issue is likely to occur on Windows 2003 or other operating systems where the Internet Explorer wasn't upgraded to a higher version. Please upgrade to a later version of Internet Explorer to see the admin menu. If MySQL is used locally the database server name can be 'localhost'. When you open Gallery the first time it will ask you to secure the g2data folder. There are multiple ways to do this. 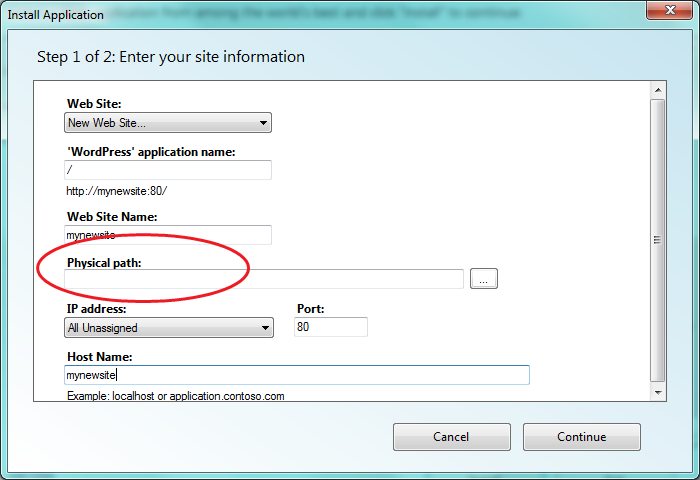 In IIS you can add g2data to the hidden segements list. You can also turn off all authentication schemes (including anonymous authentication) for the g2data folder. Another way to do this is to remove all Access flags, i.e. AccessRead, AccessWrite and AccessExecute. 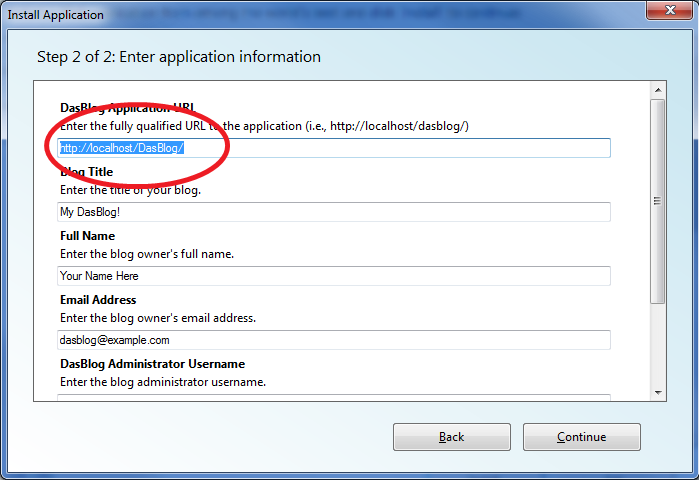 DasBlog asks you to enter an application URL in the WebPI parameters UI. DasBlog content will not display correctly if the URL you enter doesn't match the URL that is used for the actual site.